We believe in developing a highly skilled rural telecom workforce equipped to meet the future demands of customers and drive company success. NTCA events bring together top rural telecom professionals, thought leaders and experts who share real-world strategies, success stories, and the latest trends and solutions. The association’s signature conferences include the Rural Telecom Industry Meeting & Expo, Fall Conference, Regional Conferences and the Legislative & Policy Conference. The Telecom Executive Forum (TEF) is the ultimate and exclusive networking event for telco executives to discuss topics that are most pertinent to the success of rural telecommunications. TEF topics take a deep dive into timely subjects, such as next-generation leadership, technologies of the future, economic development, culture change and building a smart rural community. 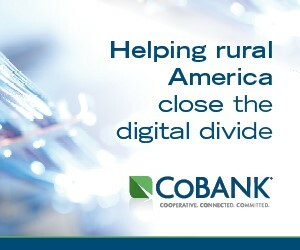 RTIME is America’s largest annual rural telecommunications industry event that delivers a universal education on policy, technology, healthcare, agriculture, community growth and advocacy. The NTCA Fall Conference is an opportunity for directors, telco executives and key employees to learn about industry and regulatory updates with a focus on management and leadership strategies. The Fall Conference occurs approximately six months after the RTIME and serves as a midpoint opportunity for refreshers on technology and discussions of hot topics via roundtable sessions. Attendees also engage in multiple networking events and attend fundraising events hosted by the NTCA Rural Broadband PAC and the Foundation for Rural Service. Through out the year, the Foundation for Rural Service (FRS) and NTCA Rural Broadband PAC hold special events during NTCA conferences and seminars. Proceeds from these events benefit the foundation's programs and initiatives and the NTCA Rural Broadband PAC/RTAF. to keep you up to date on industry topics, products, services and solutions. during one of many scheduled Webinars. Engage directly with association experts on NTCA Live. Opportunities that allow you to reach both broad and niche telco audiences.